If those flashing police lights in your rearview mirror led to a traffic violation ticket or DUI charge, expect your insurance rates to be affected based on points accumulated on your driver’s license. The license point system was designed to make it easier to track driving violations and their consequences, but this can result in higher rates for consumers. Understanding how insurance rates are affected by points on a driver’s license may encourage you to make safer driving decisions. While all driving violations result in points on a driver’s license, not all points affect insurance rates. Generally, insurance rates are affected by more serious violations, including DUIs, leaving the scene of an accident or excessive speeding. Cruising through a stop sign or earning a parking ticket usually doesn’t affect your insurance rates, according to Car Insurance Comparison.com. Points accumulated are smaller for first-time offenses. Drivers may accumulate two points for an at-fault accident, one point for driving under the influence, or three points for speeding, according to Car Insurance.com. Insurance companies evaluate points differently, but in some instances your insurance rates may be increased by 26 percent for major violations. While your insurance rates are definitely affected by points on a driver’s license, accumulating too many points within a specific amount of time can result in other penalties, depending on the point system assigned by your state. In many states, drivers receiving 12 points within one year face a 30-day driving suspension, according to Car Insurance Comparison.com. Accumulating 18 points within 18 months can result in a 90-day driver’s license suspension. You may lose your license for one year after receiving 24 points within three years. Points often remain on your driver’s license for three years, contributing to higher insurance rates. However, most rating systems gradually lessen the punitive fees as time passes from when you earned the traffic points. 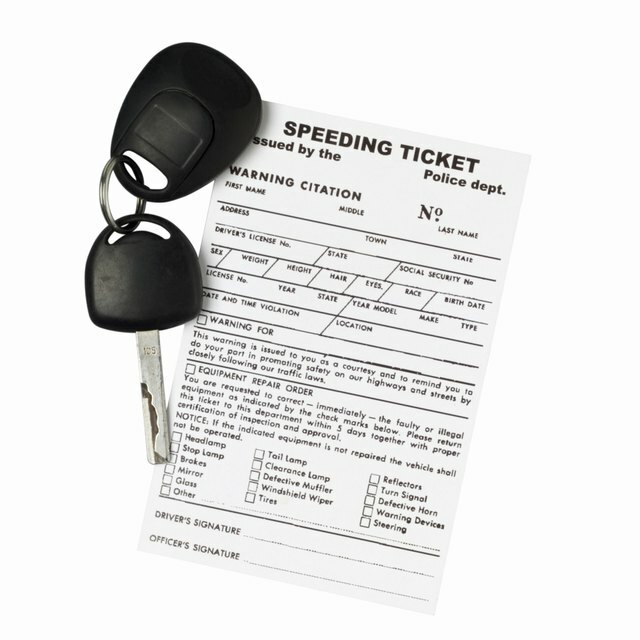 Do Speeding Tickets Without Points Affect Your Insurance? If you’re trying to avoid having insurance rates affected by points on a driver’s license, remove accumulated points by enrolling in a safe driving course. Completing safe driving courses (sometimes available online or through the sheriff’s department) sometimes erases up to four points from your driver’s license, possibly resulting in lower insurance rates. Successfully contesting your traffic ticket in court will also erase your points, avoiding insurance rate hikes. In some states, drivers may have points erased after passing a written exam concerning the violations they made. It’s worthwhile to remember that avoiding points in the first place helps keep insurance rates down. Observe traffic laws, remain conscious of other drivers, and keep an eye out for patrolling police vehicles to minimize the chances of making driving errors in plain view. Keep an eye on how long-distance truckers are driving; their long hours on the road sometimes means that they have experience spotting police vehicles before others do. Car Insurance: How do Points Affect your Insurance Rates?